Staff member stands behind the cash register at the Art Institute of Boston art supply store. The creator of this photo is believed to be Don Sanford. 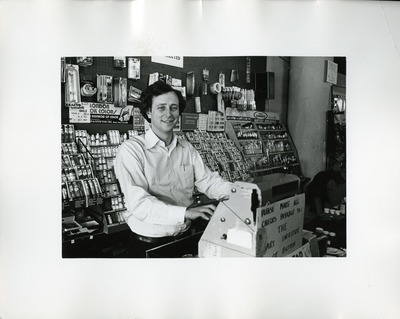 The photo is part of the Faculty and Staff collection of the Art institute of Boston archive.